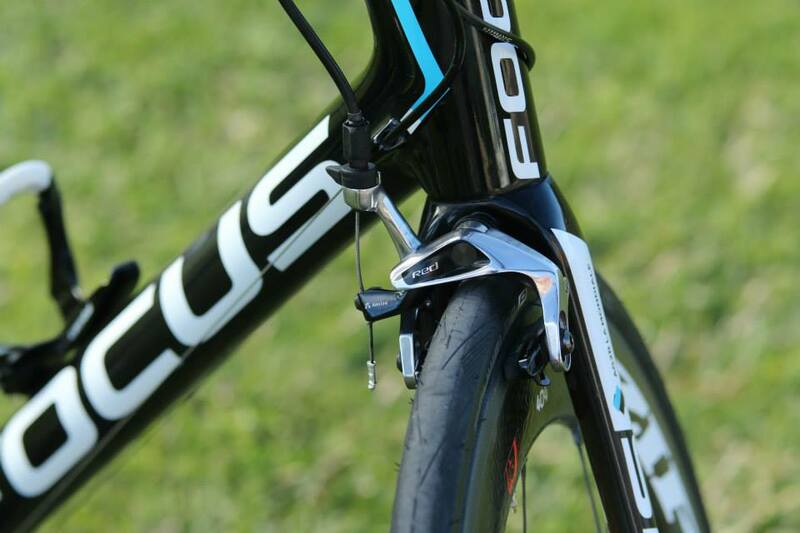 French WorldTour team Ag2r-La Mondiale has revealed its 2015 team bikes, an updated version of last year’s Focus Izalco Max, which features an new groupset with team moving away from the Campagnolo components they used in 2014. 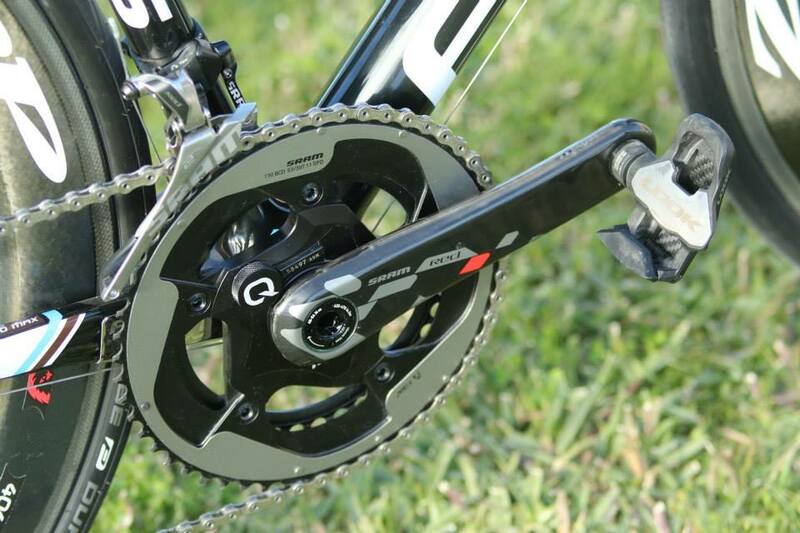 The team is one of the only in the WorldTour to use SRAM‘s mechanical Red groupset and unusually for pro team bikes, the Ag2r Izalco features external cables. 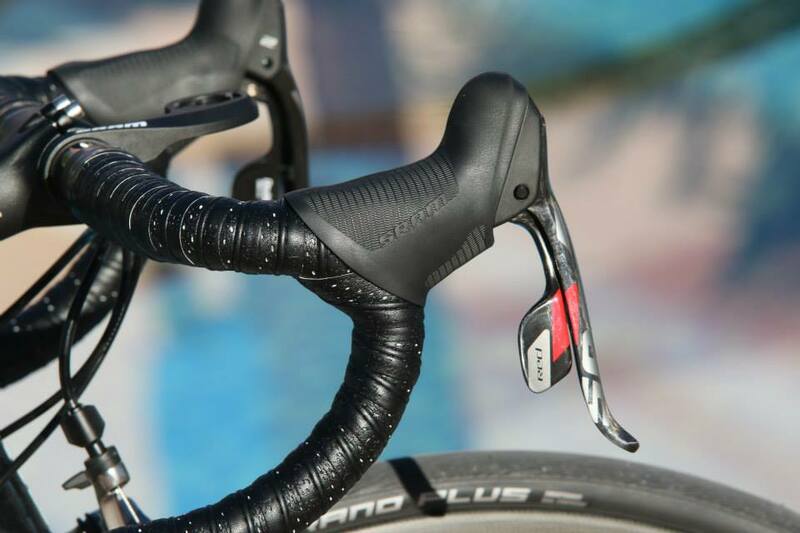 Focus say this is because it makes maintenance quicker and easier for team mechanics who are constantly carrying out repairs, but with SRAM yet to produce an electronic groupset, the team will be in a minority using mechanical groupsets and external cables. 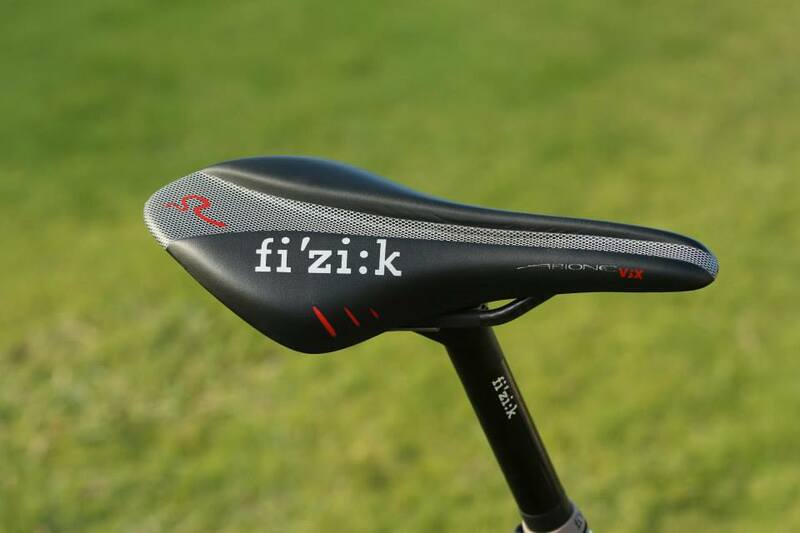 In tandem with SRAM, Ag2r will use Zipp wheels and Quarq power meters, while it’ll continue to use Fizik finishing kit, including bars and saddle as it did last season. 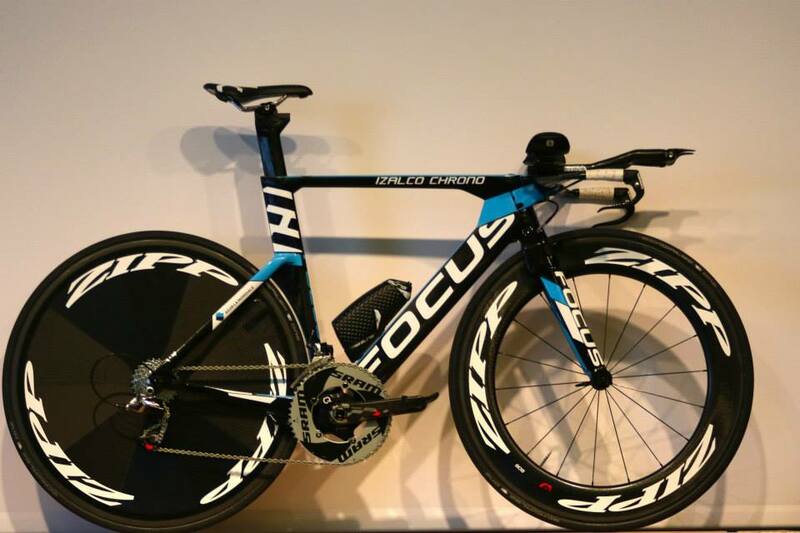 For time trials, the team will continue with the Focus Izalco Chrono Max, which now features a Zipp disc wheel on back and 808 tubular on the front, as well as SRAM’s distinctive TT chainrings.